Agreements with the Vatican are capitulation to their plans for the Old City and the Temple Mount - or should we say the "Holy Basin". A long-awaited agreement between the Vatican and Israel appears to be near finality. The two main points revolve around the Church's requests to build two centers in Israel: a church in a section of the Caesaria National Park where a site dedicated to Paul once stood, and the use of a plot on Mount Zion in Jerusalem. The Vatican asks Israel to allow the Church to build a passageway through the Diaspora Yeshiva, which takes care of the area known as David's Tomb, and to enable thousands of Christian worshipers to access the Last Supper Room more easily . The area has strategic value, since it is a few hundred yards from the Temple Mount, so the Catholic Church will turn it into the international center for Catholics all around the world. 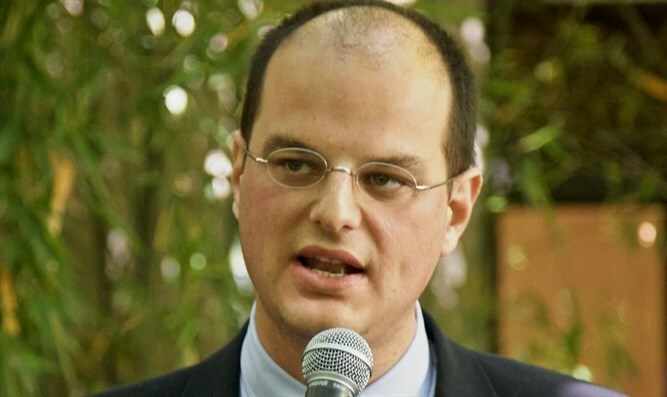 As the New Sanhedrin stated in 2009, those in the Vatican who initiated the concept of the “Holy Basin”, which is pivotal in this agreement, intended to remove exclusive Jewish sovereignty from the Temple Mount and the Old City and - in effect - aimed at "the total removal of Jewish sovereignty". Father Athanasius Macora, secretary of a Franciscan commission monitoring holy sites, declared that "Franciscan control of the Last Supper room would open the site to regular Christian prayer services, Masses and other ceremonies". Now the Franciscans are permitted to have a mass only twice a year: on the day of Pentecost and on the Holy Thursday. 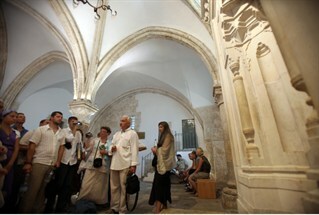 Christian pilgrim groups have there a short silent prayer when visiting. Recently Father Peter Stravinskas told Vatican Radio: "It is unfortunate that this site of the Lord's last supper is not accessible to Christians for worship. It is controlled by the Israeli civil authorities. In fact when Pope John Paul went to Jerusalem there had to be a special permission for him to be able to celebrate mass in the Cenacle. There is some talk now, of course, that perhaps there's a negotiation going on in order to return the Cenacle to the care of the Church". That's why the Franciscans, who will benefit from Israel-Vatican deal, claim the title of "Guardian of Mount Zion". Pope Francis is very close to this order, which established political links with the PLO in Jerusalem. In his first significant appointment to the Roman Curia, Pope Francis has taken the highly unusual step of naming the actual head of the Franciscan order, Father Jose Rodriguez Carballo, as Secretary of the Vatican’s Congregation for the Institutes of Consecrated life. Those who will be in charge of the Cenacle on Mount Zion have been among the most ardent partisans of a Palestinian Arab State. Born in Lodoselo, Spain, Carballo was ordained priest in Jerusalem in 1977. We have to remember that in 2002, the "Franciscan Custody of the Holy Land" criticized the demand by the U.S. Congress that Jerusalem be recognized as the capital of Israel, calling it "a decision that does not respect Israeli-Palestinian peace talks". In 2000, before the suicidal Camp David talks, Yasser Arafat met Islamic and Christian clergymen at his offices in Ramallah to get their backing for Arab sovereignty over Jerusalem. Among the clergymen who attended the meeting were Diodoros I, Patriarch of the Greek Orthodox Church, Torkom II, patriarch of the Armenian Orthodox Church, Catholic Patriarch Michel Sabbah and officials from the Custody of the Holy Land. This is the same order which will be in charge of the Mount Zion structure. All of the Christian churches currently standing in Jerusalem are seen as the product of the destruction of the Jewish people, their dispossession and exile. It is the Christian exile which Christianity glorifies in as being everlasting. There is the risk that the new church on Mount Zion will be used to foment a political war on the rest of the Jewish Jerusalem. The very spirit of Israel's capitulation to the Vatican lies in the Franciscans order's definition of Mount Zion: "The place that is traditionally known as the place of the Last Supper and of the bestowing of the gift of the Holy Spirit is today occupied by a Yeshiva or Jewish religious school". Will Israel dismantle this "occupation" as it did in Gush Katif? In 2005, while the synagogue of Netzarim was burned by Arab terrorists, the Catholic Church stood silent despite Israeli rabbis' pleas to condemn the torching.